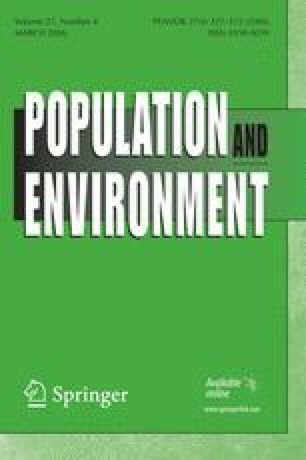 This paper illustrates evolutionary approaches to population issues. Life history theory is a general theoretical framework that incorporates environmental influences, contextual influences, and heritable variation. In general, physically or psychologically stressful environments delay maturation and the onset of reproductive competence. Perceptions of scarcity also result in lower fertility by delaying reproduction or having fewer children—a phenomenon viewed as an adaptation to ancestral environments. The desire for upward social mobility is viewed as an evolved motive disposition affecting fertility decisions. The opportunity for upward social mobility typically results in delaying reproduction and lowering fertility in the interest of increasing investment in children. Variation in life history strategies is also influenced by genetic variation, but genetic variation interacts with cultural shifts in the social control of sexual behavior. Finally, i discuss the effects of between-group competition for resources on population issues. Immigration policy and group differences in fertility influence political power within and between societies, often with explosive results. Demographic expansion has often been an instrument of ethnic competition and is an important source of conflict in the contemporary world.